"If the 1980s was the era of blissful, colorful, dynamic excess, the USFL was the football league of blissful, colorful, dynamic excess." Minor-league sports get a bad rap. And Memphis has been a part of some ugly marriages with "professional" football: the WFL, the CFL, and the XFL to name three. But the United States Football League — home to the Memphis Showboats for two buzz-worthy seasons in the 1980s — was an exception. 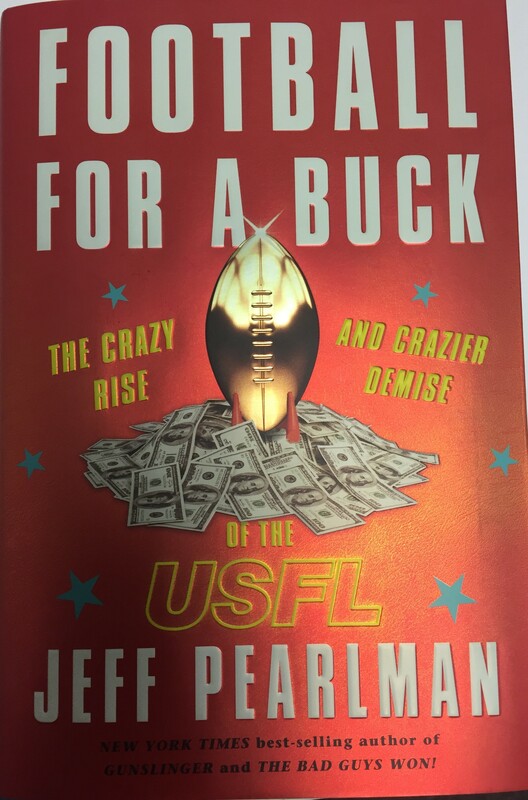 And Jeff Pearlman has brought the magic to life with his book, Football for a Buck (released earlier this month by Houghton Mifflin Harcourt). There was a time when football teams called themselves Gamblers, Invaders, Gunslingers, and yes, Showboats. When two-point conversions and end zone celebrations were encouraged. When Burt f*****g Reynolds rode to midfield as part of the Tampa Bay Bandits ownership group. This was the USFL. But the USFL grabbed those who paid close attention. Herschel Walker was the first big name to take a lavish contract and snub the NFL, but Steve Young and Jim Kelly followed, pumping up TV ratings (somewhat) and giving the new league glitz beyond its scantily clad cheerleaders. Who cared about baseball in April when the reigning Heisman Trophy winner was cutting his professional teeth in the Big Apple? "The Showboats were a model USFL franchise." Memphis was among six cities that gained expansion franchises for the 1984 season. Under owner Billy Dunavant, general manager Steve Ehrhart (since 1994, the executive director of the AutoZone Liberty Bowl), and wacky coach Pepper Rodgers, the Showboats got much of minor-league football right, in part by treating their Memphis fan base like they were big-league. Star players — most notably Hall of Fame-bound defensive lineman Reggie White — made public appearances, shook hands, and provided moments of connection long before selfies were a thing. And it showed on game day. More than 50,000 fans packed the Liberty Bowl for a sweltering June 1984 game against the Birmingham Stallions. (My dad and I were among them.) Memphis lost the game, but there was nothing minor-league about the experience. We left the stadium that day feeling like we'd witnessed the birth of a new regional rivalry, and that the ’Boats would be back. The upstart league actually won an antitrust lawsuit filed against the NFL, but was rewarded precisely one dollar in damages. As the future president might have put it, "So much winning." The NFL's commissioner at the time, Pete Rozelle, as quoted in the book: "Mr. Trump, as long as I or my heirs are involved in the NFL, you will never be a franchise owner in the league." Pearlman has written books on more mainstream football subjects: Walter Payton, Brett Favre, the 1990s Dallas Cowboys. But Football for a Buck is a unique time capsule on as distinctive a three-year life as any minor-league American sports entity has seen. And that's the catch: The USFL may have been a minor league, but it was operated with major-league balls. Did it fail? When measured for posterity, it did indeed. But in generating memories for those of us who witnessed the colorful stumbles? The stories live on. And we finally have the book to prove it.